K.K.Kid is a Veterinarian Technician She is the current manager of Tall City Veterinary Hospital NVA in Midland Texas. She is very family oriented. She has a wonderful husband and daughter. 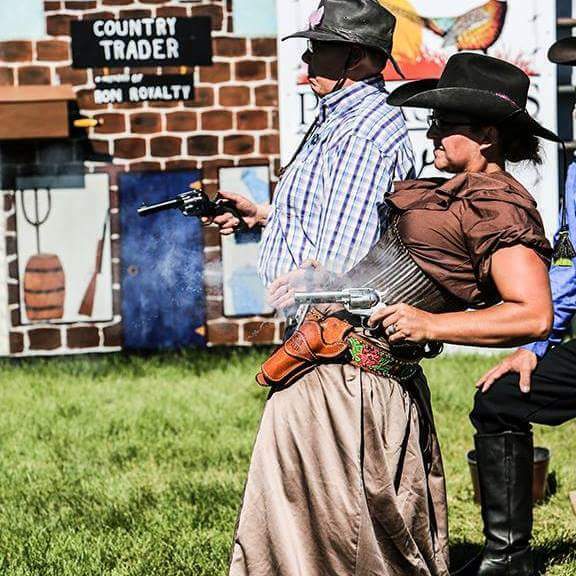 Both her daughter and her shoot fast-draw. K.K. is an avid outdoorsman. She loves to go camping, fishing and hunting. K.K. passions are family, animal and fast-draw.